When a plumbing problem strikes, one tends to reach for the first available 24 hour plumber to sort out this inconvenience at the soonest. And can end up with an even bigger problem when hiring an unqualified plumber to do the plumbing. Cheap almost always cost more at the end of the day and turns into a recurring cost instead of a once off cost. So how do you avoid being the victim of a cheap ‘plumbing’ service? No one wants to sit for days with a backed up sewer, no hot water or a tap that just keeps dripping. So-called unqualified plumbers exploit these “emergency situations” by offering a cheap rate and equally, providing cheap work. The very first question most people ask when a situation like this occurs is “How much is it going to cost me?” And usually we answer ourselves too “I have to fix this the fastest way possible, the cheapest way possible”. This can result in catastrophe. You can tell a lot by a company by how their phone is being answered. Is there dogs barking in the back or children screaming and generally a not professional tone when speaking to the plumber? A good plumber should be focused on client care as well as the actual plumbing. Ask if there is a written guarantee, if not or you do not get a straight answer, you should think twice. A good qualified 24 hour plumber would usually stick to a few tried and tested brands and would stand firm in his recommendations of the brands and tools he uses for plumbing. Also be wary if he needs “cash upfront for supplies”. Reputable plumbers have running accounts at reputable suppliers. However, in the current economy most plumbers would demand a basic deposit for plumbing installations. Don’t settle for over the phone pricing. These prices are usually a base price and mostly differ from the actual cost of the job. Many plumbing problems, like medical ones, can’t be diagnosed over the phone and neither can the costing. The plumber needs to see the problem and then give a quote. 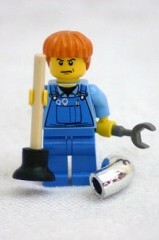 Always aim for a plumbing company who offers a 24 hour based service. If there is a problem still after they left, it is good to know you will be able to get hold of them ASAP. No one wants to sit a whole weekend with a non-working toilet or cold water. Always ask for references, written ones are even better than telephonic ones, as you could be calling the so-called 24 hour plumbers’ mother without knowing it. Check online for references too. Rely on valid websites. A qualified, trustworthy plumber should supply the contact info of the organisations he is accredited with. This ensures that the plumber is affiliated with the correct organisations and that it is safe to use his services. For reliable 24 hour plumbing from accredited plumbers – give us a call today!